British progressive-rock outfit formed in 1980. 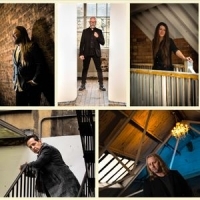 Originally formed in Bournemouth, the current line-up consists of Nick D'Virgilio, Dave Gregory, Rachel Hall, David Longdon, Danny Manners, Andy Poole, Rikard Sjöblom and Gregory Spawton. Releases include the 2016 album Folklore.